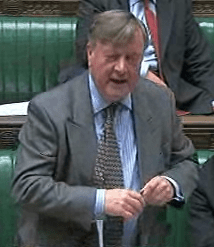 Updated x 2 | The lord chancellor Ken Clarke has announced plans for significant cuts to the legal aid system, which provides funding for legal representation to those who otherwise cannot afford it. The plans were largely as expected and will be open to consultation. A summary of the plans can be found here. The consultation on proposals for reform for civl litigation funding (the Jackson review) is here. The scale of the cuts is expected to be around £350m out of the £2.2bm budget, which is just over 15%. Some of the plans had been leaked with partial accuracy by the Sunday Telegraph. Update x 2: Read a summary of the reaction to the cuts here and an analysis of the underlying rational here. The Law Society, which published its own access to justice review today, has said that “only the poorest of the poor will continue to be eligible for legal aid” and that the proposals represent “a sharp break from the long-standing bipartisan consensus that effective access to justice is essential to underpin the rule of law“. Mr Clarke opened by saying that no other government in the world believes that the state should pay for so much legal representation as it currently does in the UK, and that the Ministry of Justice will have to cut its budget by 23% overall. A full summary of the proposals can be found in the Ministry of Justice press release. What follows is a basic summary of some of the changes. The scope of criminal legal aid is to remain unchanged, but the civil and family legal aid system will be significantly reformed. Some civil legal aid will still be available in more serious cases which threaten life and liberty, but cases involving education, employment, immigration and personal injury cases will be reduced. As expected, legal aid in family court cases will be significantly cut. In clinical negligence cases, it will be withdrawn completely, as it will in employment cases. There will, however, be an emergency fund for special cases in some areas. All people with more than £1,000 capital will be required to make a £100 contribution to their costs. This is not quite what Sunday Telegraph reported, which was that nobody with £1,000 capital will have access to public funding. Although human rights law can assist by compelling the state to provide legal aid, this only applies in limited circumstances. In the criminal context, Article 6 of the European Convention on Human Rights provides that everyone has a right “to defend himself in person or through legal assistance of his own choosing or, if he has not sufficient means to pay for legal assistance, to be given it free when the interests of justice so require.” But states have been given wide discretion as to the definition of “sufficient means”. You do not have to be poor to get legal aid: in April, three ex-MPs being prosecuted for expenses fiddling were granted legal aid to fight (some of) their cases. And it must be in the interests of justice to grant assistance. A person can also be asked to pay the state back if s/he is found guilty. Other articles of the Convention can also provide a right to legal aid. For example, Article 2 (the right to life) can sometimes compel the state to fund an investigation into a death, which can include legal representation for relatives of the dead. Mr Clarke announced that this is to remain, although realistically he could not have withdrawn such funding due to commitments under human rights law. The Justice Secretary also announced that the Jackson Report on the costs in civil cases in England and Wales will be largely implemented, and particularly proposals involving no-win-no-fee cases, as well as the introduction of US-style contingency fees, where lawyers take a cut of their clients’ winnings. This is of direct relevance to the legal aid system, as funding arrangements such as no-win-no-fee will increasingly be the only way for those who cannot afford a lawyer to secure legal representation. In addition to the payment of £100 by those with >£1,000 in capital, there’s also (apparently) to be a bar on anyone with a “disposable income” >£8,000pa receiving legal aid. This seems eminently sensible, but turns on what’s treated as disposable.